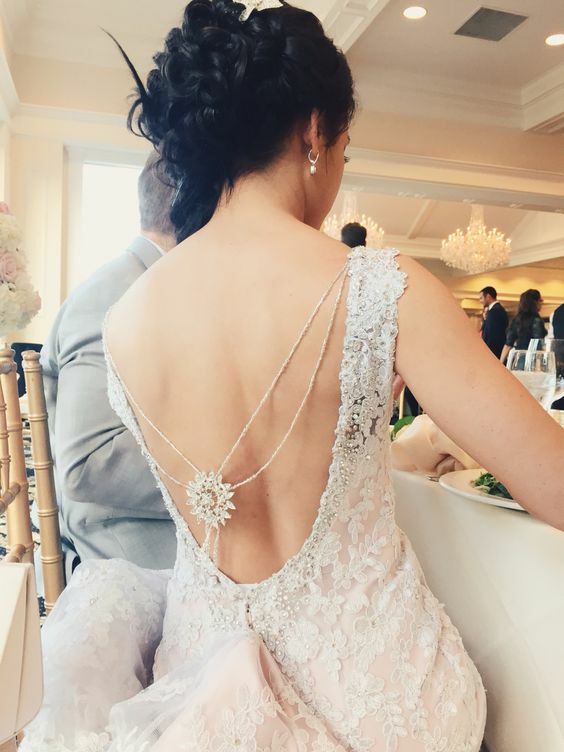 In the spring and summer, especially when the weather is hot brides prefer to rock airy and open dresses for their big day. 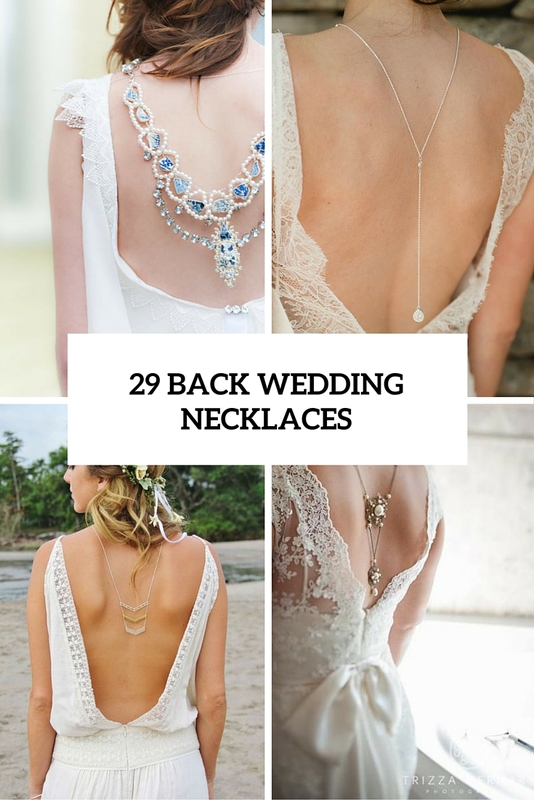 If you’ve chosen an open back dress or a backless dress, you can try one of the hottest trends popping up right now – a back wedding necklace. 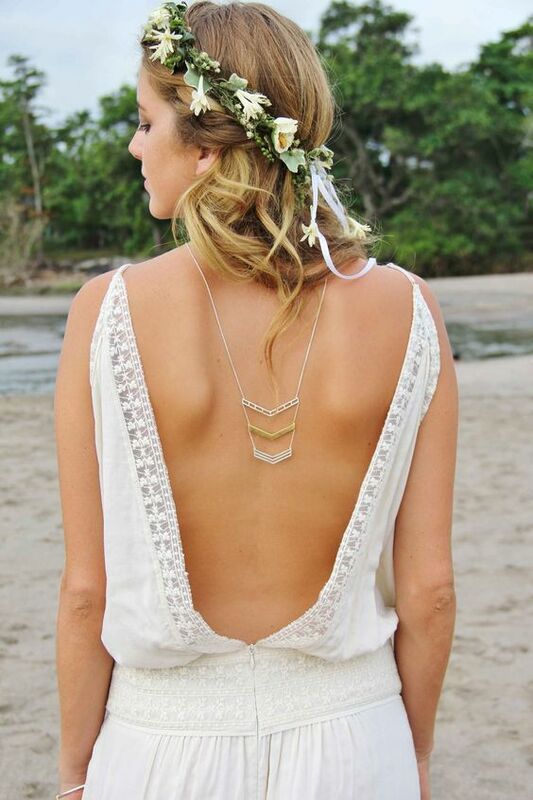 Such a necklace will beautifully highlight your back and you will definitely stand out! 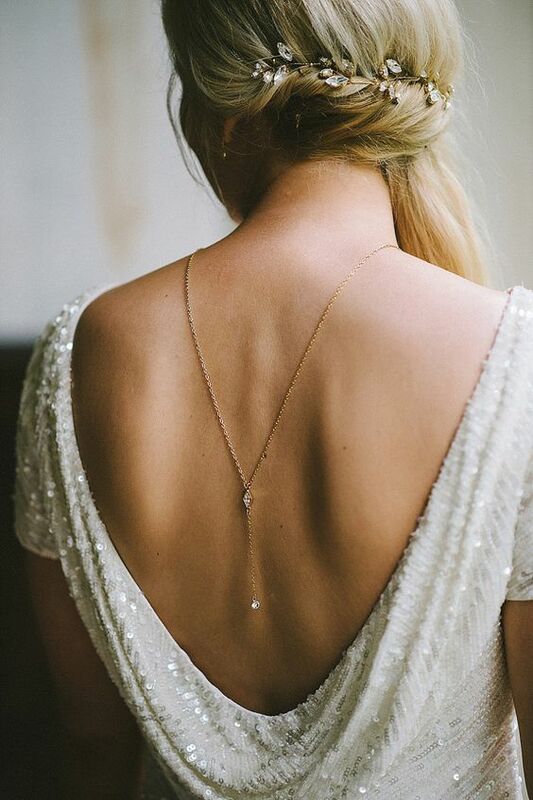 There are lots of types of such necklaces: boho chic, vintage, minimalist, glam and others, so you can easily find a piece that fits your style and looks good with the gown. 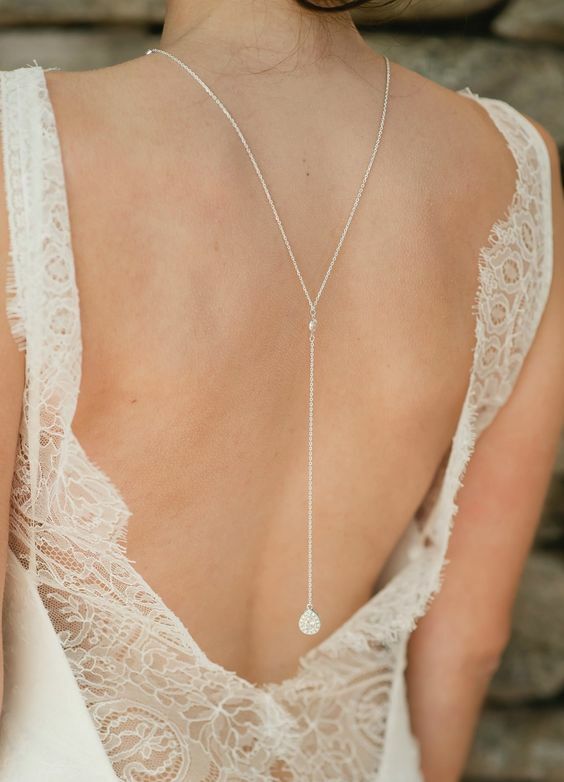 You can buy one or make it if you can’t find a proper piece, it isn’t that difficult and you will be able to personalize it. 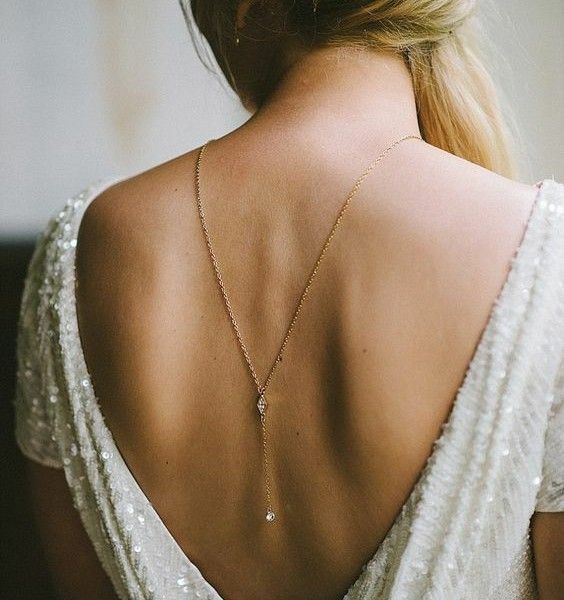 Most of them should end up somewhere on your open back with some charms and beads to attract attention there but there are also super long necklaces that can go further and end up below your dress back. 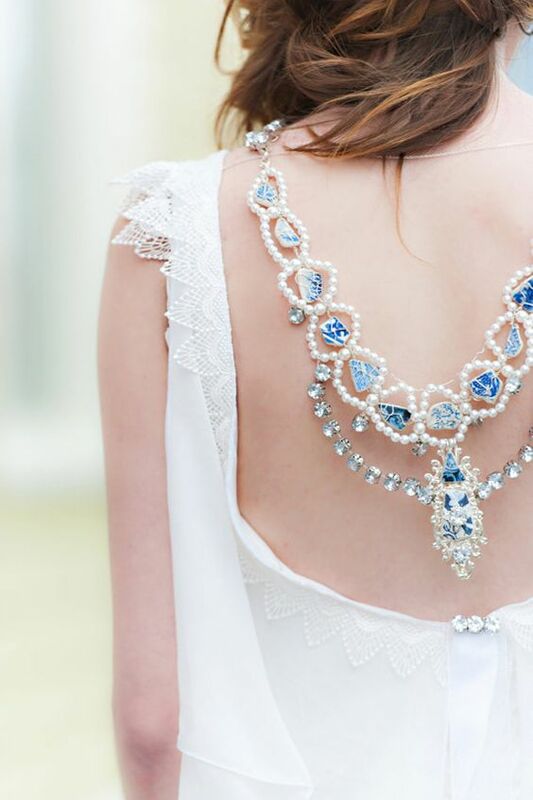 If you think that such an accessory is uncomfortable for wearing a whole day, you can ask your tailors to attach the back necklace to the dress and get an additional detail, which will be well-fastened and always in place. 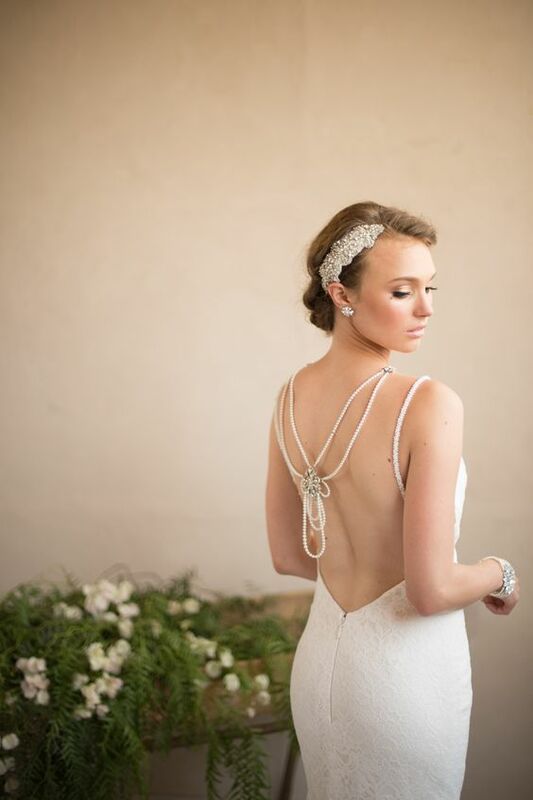 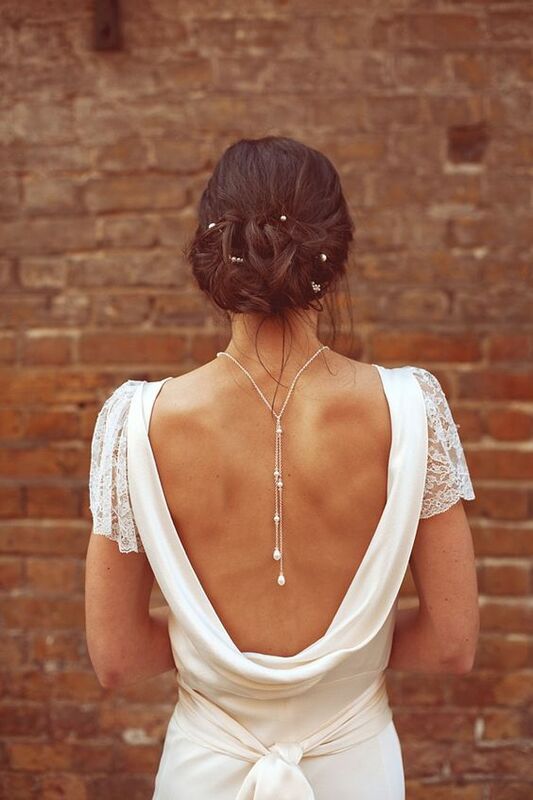 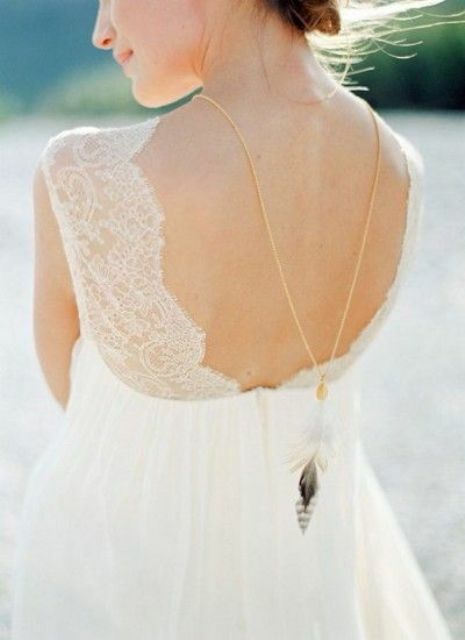 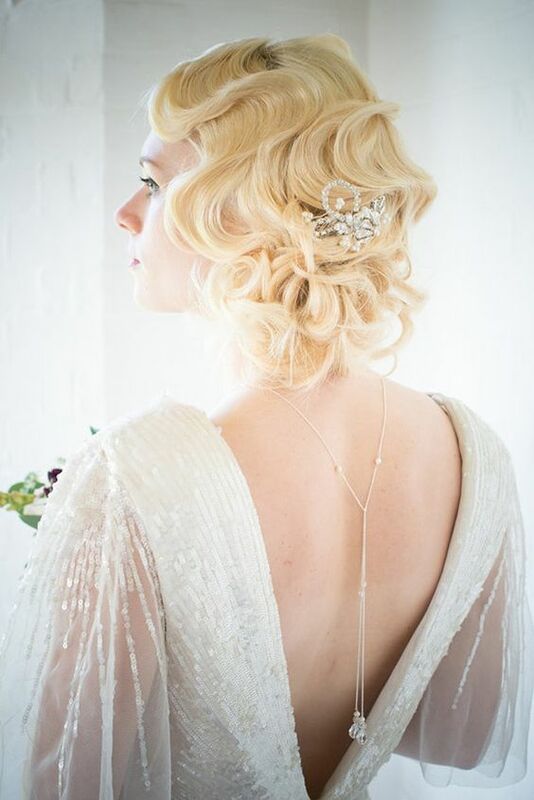 If you are a boho bride, you just must have a back necklace as it shows up your boho style at its best. 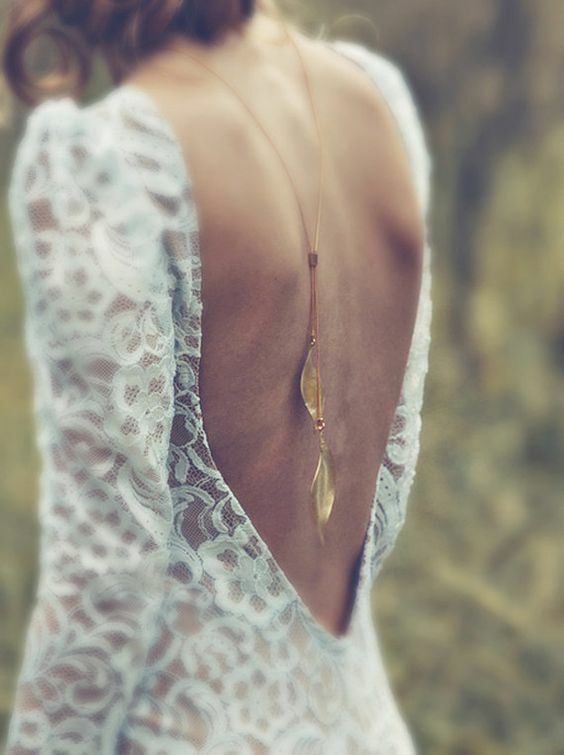 There are various chain necklaces that look gentle and cute, necklaces that remind of raindrops with their crystals, necklaces with big and even oversized charms for those who want a gypsy or Moroccan flavor and beautiful natural feather necklaces. 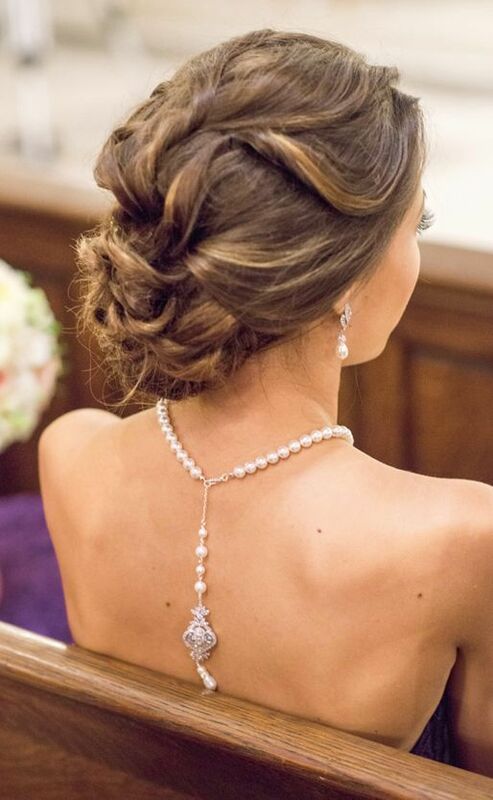 If you are going for a vintage or retro wedding, try a beautiful vintage necklace with crystals, beads and big charms and of course pearls as they are the most vintage-inspired. 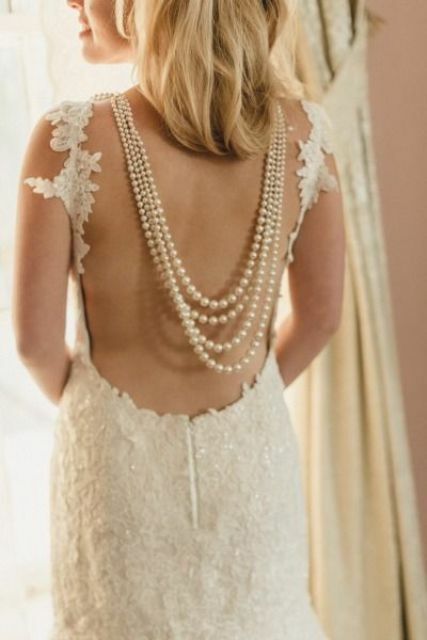 You can also go for strands of pearls as a back necklace if they fit your style. 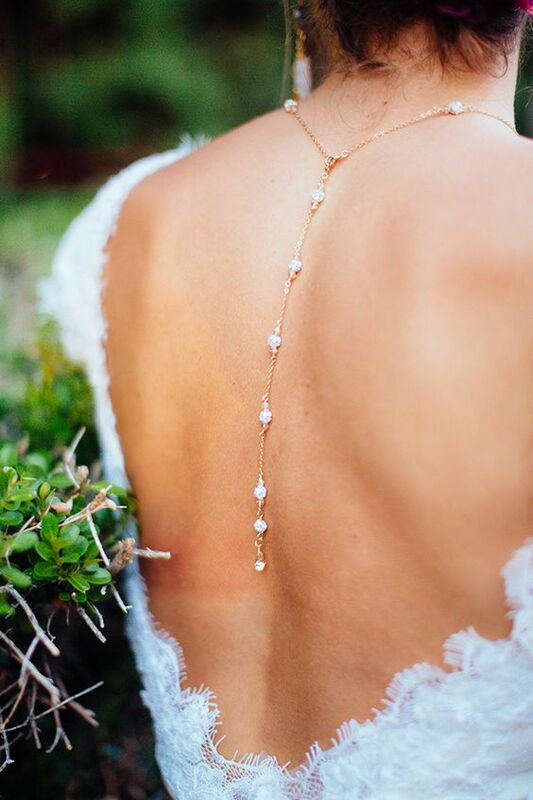 Such a necklace can fit almost any dress, most of them are various types of chains with cute beads and crystals to fit your dress detailing. 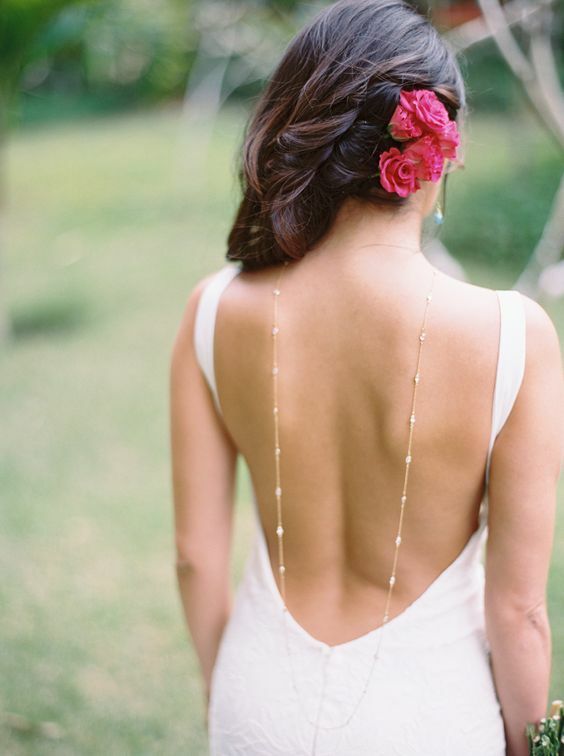 If you don’t have an open back but have some back cuts, you can also try some geometric or simple tube necklace to show up your back.